Fleet Management Software is software, powered by telematics, that allows users take better control of the vehicles in their fleet. It can be used by rental companies, to gain better visibility of rental vehicles. Fleet management software can also be used by corporate users to track sales team or on-the-road staff, allowing them to make the best use of their time. Using GPS tracking and advanced telematics technology, fleet management software shows where all connected vehicles are at any one time. It can alert managers when there has been an impact or when a driver has entered into an unauthorised area. But can fleet management software positively affect driving behaviour? In this article, we examine how fleet management or telematics software, can change the way people drive for the better. You may have observed what happens in Formula One racing the moments after a crash. While the car, or cars, involved are still on the track, the chances of another incident occurring are elevated. Drivers may have left their car and be in danger from passing racers, debris from the crash also presents a risk to other drivers. To combat the increased risk, the safety car takes to the track. The safety car sets a slower pace that the entire field must follow. No overtaking, no dangerous manoeuvres, just cautious and controlled driving from all. Over the years, valiant efforts have been made to make our roads safer. It seems there is a 24-7 push to warn against dangerous driving and excessive speeding. Sometimes however, you wish that each driver could have their own safety car to follow. This, of course, would be totally unfeasible. It is impossible to expect that you can encourage road safety by holding the hand of each individual driver. However, with fleet management software, there is real scope to create a safer driving environment by championing better driving on a vehicle by vehicle basis. In a previous blog post we explored what is telematics software and the impact it will have on the automotive industry. But how do telematics software, or fleet management software, make driving better? This comes down to driver data and reporting. When a vehicle is fitted with a telematics device, the end user can collect data regarding the driving patterns of the vehicles being monitored. The end user in this case could be a fleet manager, sales manager or even an insurance provider, for instance. 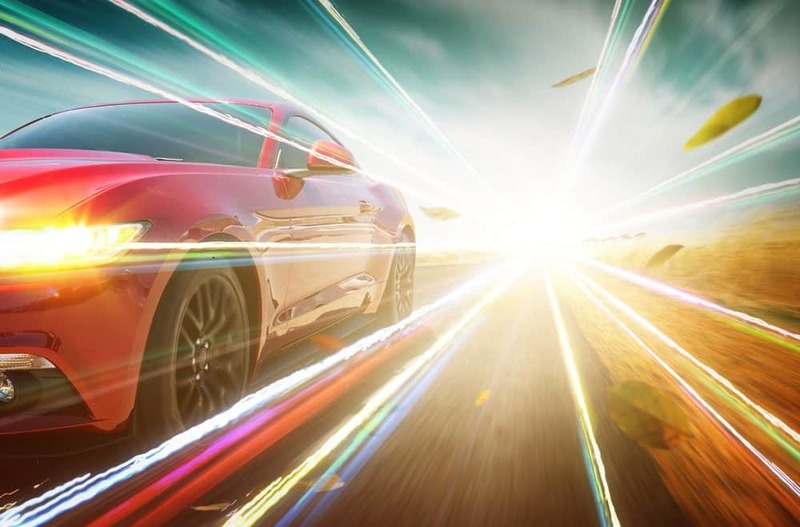 Telematics software can relay data on driving aspects such as speeding, tailgating, harsh braking, as well erratic acceleration and deceleration. This in turn can be dealt with directly by the fleet manager, either through notifying the driver or, for commercial driving companies, through having drivers attend specific training courses for example. They say you are your own best example. At RentalMatics, of course, we are a provider of fleet management software. We have witnessed the effect that telematics solutions has had on driving behaviour. There are two types of reports that are especially relevant when it comes to encouraging safer driving. Those are the impact reports and driver safety reports. Impact reports offer insights related to crashes through analysing data directly before impact. Within the context of this article and the topic of ‘Why telematics software makes people drive differently’, the more relevant reports are the driver safety reports. The data gathered by our telematics software in the driver safety reports represents a huge leap forward for road safety. In these reports, not only are measurables such as average speed, fuel usage and distance travelled given, there are also rated scores that are a lot more insightful. Within this there are smooth scores, which measure how many times a driver accelerated or decelerated during a journey. There are speed scores, which measure how often the driver stayed within the speed limit during a journey. Time of day scores, collate data regarding to when the vehicles were being driven, knowing that accidents occur more frequently at certain times of day. Fatigue scores monitors individual journey lengths, with longer journeys more likely to lead to an accident. It stands to reason that drivers that know they are being monitored will drive in a more responsible fashion. But what exactly does the evidence show? In our own reporting, carried out in conjunction with AIG, we have noted the hugely positive impact fleet management software can have. When a leading European car rental company applied Rentalmatics (our own telematics solution) to a fleet of 600 vehicles, the number of bodily claims fell by 45%. Over 12 months, insurance savings of 1.8 million were recorded. Outside of fleet management and our own observations, the introduction of telematics insurance in the last number of years is having a profoundly positive impact on driving behaviour. Telematics insurance is something we plan on exploring in much greater detail in a coming blog post. Briefly however, telematics insurance is where insurance premiums are directly related to the driver’s behaviour as observed by telematics software. 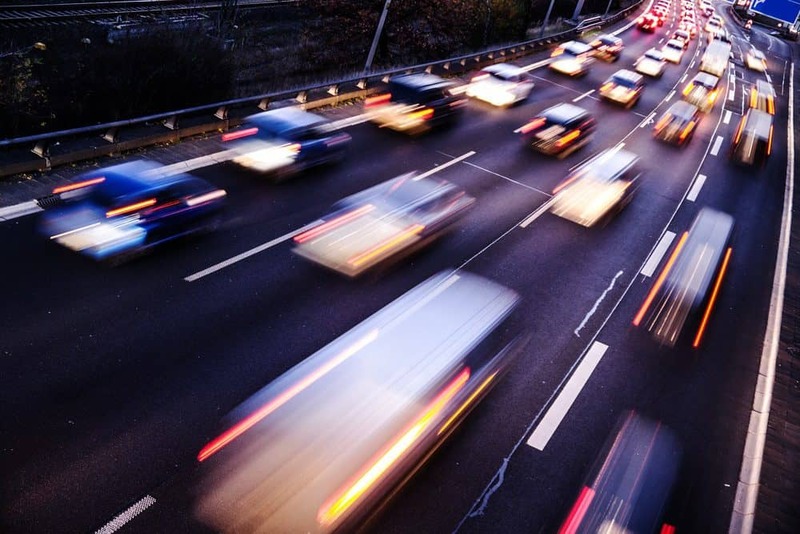 Analysis carried out by LexisNexis Risk Solutions in 2018 began to uncover the impact of telematics insurance and telematics software on driver safety in the UK. Car casualty rates amongst 17-19-year-old drivers have fallen by 35% since 2011. This is compared to 16% for the driver population as a whole. The one major difference between the subsections is telematics insurance. It is estimated that 4 in 5 young drivers have a telematics policy in UK today. The correlation cannot be ignored. Earlier, we imagined having a safety car patrolling every car on our roads. This may be a pipe dream, but fleet management software that improves the way we drive is not. A report published in Statista, stated that by 2025 there will be over 116 million connected cars in the US alone. This represents a significant opportunity to improve driving behaviour. With insurance telematics policies expected to become even more mainstream, the positive impact of telematics software or fleet management software on road safety is very real indeed. Fleet Management Software can positively affect driving behaviour. It can also positively affect business by generating proven returns. Learn more the incredible impact that telematics can have on your business – Benefits of RentalMatics. Telematics software is software, most notably used in vehicles, which allows for the communication between an electronic device and other devices (or human users) over a network. Telematics software merges telecommunications with informatics, thus the name telematics. A vehicle installed with telematics can relay data such as GPS location, vehicle performance and fuel efficiency. In this article we examine what is telematics software and how it works. We will also look at the impact telematics software is having on the automotive industry, the value of the market and the history of car telematics. In January of 2017, Henrik Christensen, the Director of the Contextual Robotics Institute in San Diego made a bold claim. The accuracy of these claims remains to be seen. However, one thing is for certain – the automotive industry is going through a major transformational period. A world of connected cars, shared driving, electric cars and autonomous vehicles is upon us. This world, that might have seemed like the stuff of sci-fi a few years ago, is now a reality. A report published by PWC regarding ‘Five Trends Transforming the Automotive Industry’ followed on in the same vein. In it, the company’s forecasts suggested that by 2030, more than one in three kilometres driven could involve sharing concepts. Think Uber, Lyft and MyTaxi. The report also stated that the share of autonomous driving in Europe (overall traffic) may rise to as much as 40%. During this revolutionary period, there are many technological advancements that you may have become familiar with, without fully appreciating their significance. One such term is “telematics”. 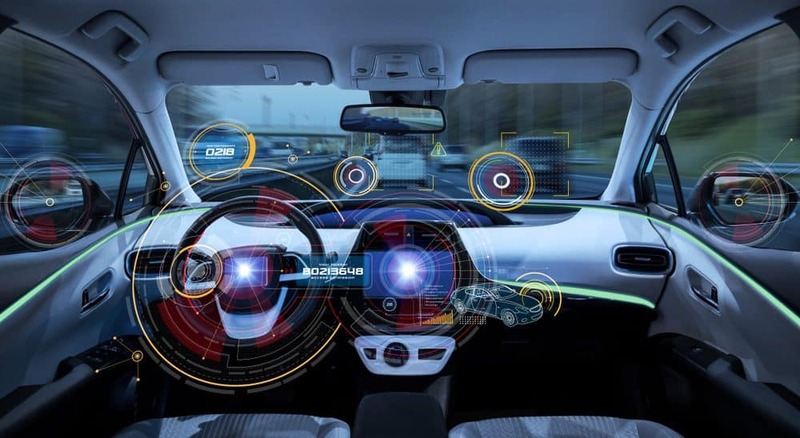 Although we are coming to terms with concepts such as connected cars and driverless vehicles, the word “telematics” won’t mean a whole lot to most people. However, in the overall scheme of the automotive revolution, it plays a major role. Broadly speaking, telematics software is any device which merges telecommunications and informatics, thus the name. In other words, telematics solutions are where an electronic device communicates with other devices, or human users, over a network. Over the years, the term “telematics” has become heavily linked to the use of communication devices in automobiles. Telematics software encapsulates a broad range of technologies. For instance, telematic solutions are behind navigation and GPS systems, handsfree calling, driving sensors, wireless communications, in-car multimedia use, and other modern vehicular technologies that involve the transfer of data over a network. Due to the incredible degree of real-time management and vehicle connectivity, telematics solutions are perfect for fleet management. Fleet management in this case includes car rental companies for example. Vehicles fitted with telematics software can be tracked for key information such as speed, erratic driving, fuel usage and efficiency. This all represents a major advancement in vehicle monitoring and reporting. We live in a connected world where “sharing” has become an established business model. Top performing car-sharing companies include Evo, GoCar, Car2go and Zipcar. These systems are steeped in cutting edge technology. You may have already used these services. The overall “transaction” is awe-inspiring. When you step into a car-sharing vehicle, there are maps that know your exact location, a dashboard that recognises your own individual account, a buzzer that notifies you when are swerving dangerously, fuel and tire pressure monitors. There is even a help button that connects you with a customer service member over the car’s intercom. But how does it all work? Telematics software works through a combination of GPS tracking and onboard diagnostic systems. The most common method by which telematics works is through the installation of a small telematics device in each vehicle, sometimes referred to as the ‘black box’. This box does not alter the vehicle in any way but records all aspects of the car’s location and performance. The black box is fitted with a sim card and modem. This allows information to be transferred over a network to a central user interface. In the earlier example of fleet management, this central interface would be the fleet management software dashboard. In one sense, telematics solutions are nothing new and have been around for years. It was in 1983 that the first GPS was made available for public use. Although the origin of the first car navigation system is debated, it is generally agreed that it was debuted in the ‘80s, over thirty years ago. However, it is only in the last decade, as we enter a new era of connectivity that we see huge leaps in the evolution of telematics software. A fascinating historic overview, put together by TomTom, noted some major milestones commencing with the launch of the first smartphone applications that combine telematics software in 2010. Since then, the world of connected cars has been advancing significantly. A report published by EY illustrated the rise of telematics solutions from what they called telematics 1.0 to telematics 4.0. This concept identified telematics 1.0 as hands-free calling and screen-based navigation. Telematics 4.0 is the seamless integration of mobility and the web. This integration was beautifully summarised in the report by the president of a global telecommunications company “when we look at the car, we see another smartphone”. The rise of telematics solutions was further compounded by a report published by Reuters in October 2018. In the report it was noted that in 2017, the global vehicle telematics market size was valued at USD 41.66 billion. The report went on to say that by 2025, the market size is projected to hit USD 231.63 billion. 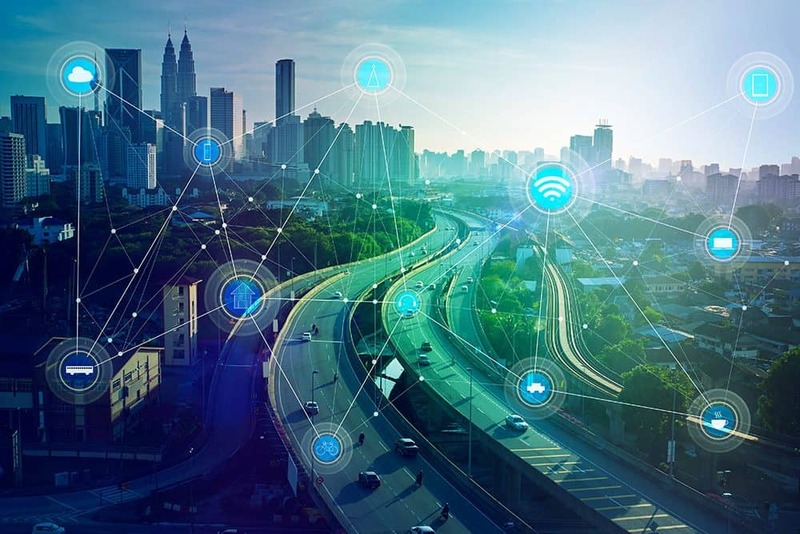 This meteoric rise is driven by the rising demand for smart connectivity coupled with increased penetration of Internet of Things (IoT). At present, North America is dominating the global telematics market. The Reuters report suggests that theme will continue as North America is expected to account for more than a third of the telematics market share. The fascinating future of telematics software is something that we want to explore in greater detail in a future blog post. Suffice to say, the impact of telematics will be heard worldwide. There was a time, not long ago, that having sensors in your vehicle was considered to be new-age and groundbreaking. Now sensors are fitted as standard. Overall car connectivity is following suit. The future of the automotive industry is heading in a fascinating, exhilarating and enticing direction. Telematics will be a key driver behind the evolution. Learn more about how telematics software can positively affect business by generating proven returns – Benefits of RentalMatics. 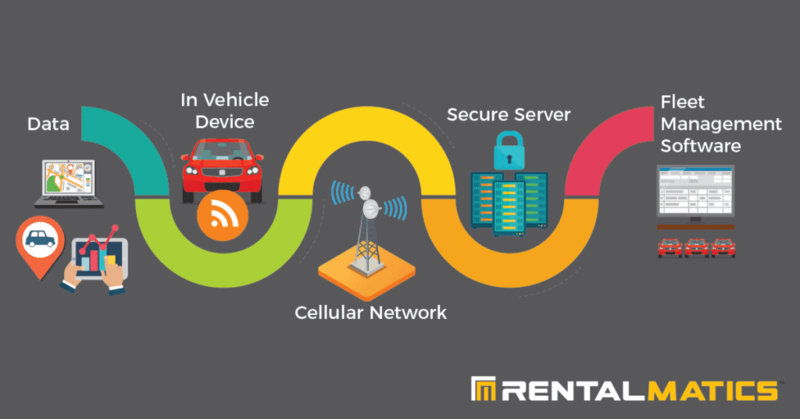 RentalMatics is an IoT solution for car rental companies, to manage and track global fleets in real-time. RentalMatics combines in-car telemetry with proprietary algorithms specifically designed for the car rental industry to generate proven returns.